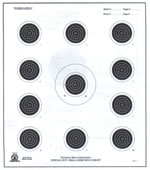 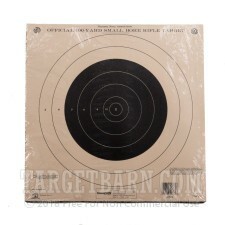 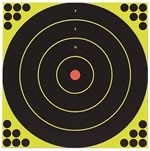 Size/Shape - 14" x 14"
These officially licensed NRA TQ-4/A-14 targets from Champion are great to practice with for the 100 yard course of fire in small bore rifle shooting matches. 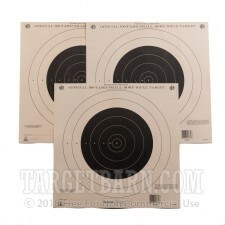 The bulleyes on these targets are identical to those of the NRA A-25 target used in competition and feature 8 inches of black surface from the center to the seven ring. 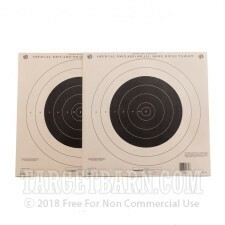 The single bullseye format allows you to practice safely at indoor ranges or in outdoor ranges with a low backstop where safety would be compromised by the firing angles required for the standard three-bull A-25 target. 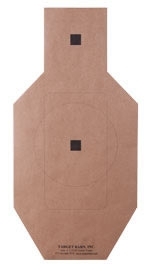 These means you can practice safely and efficiently at any range without worrying about space constraints and target stand limitation. 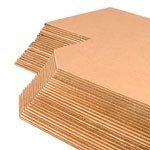 These targets come twelve to a pack.